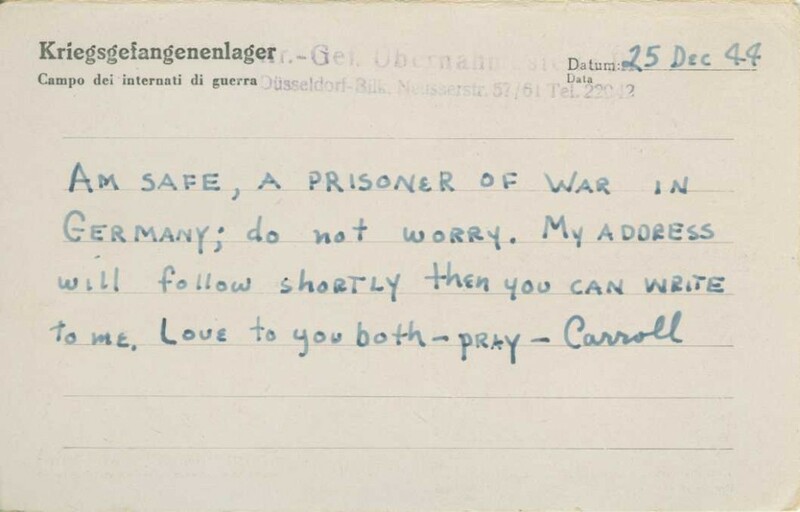 On December 25, 1944, Carroll Sammetinger began his Christmas postcard to his parents, “Am Safe, A Prisoner of War in Germany; do not worry.” Thousands of Americans were captured during the Battle of the Bulge and ended up spending Christmas 1944, as prisoners of war. 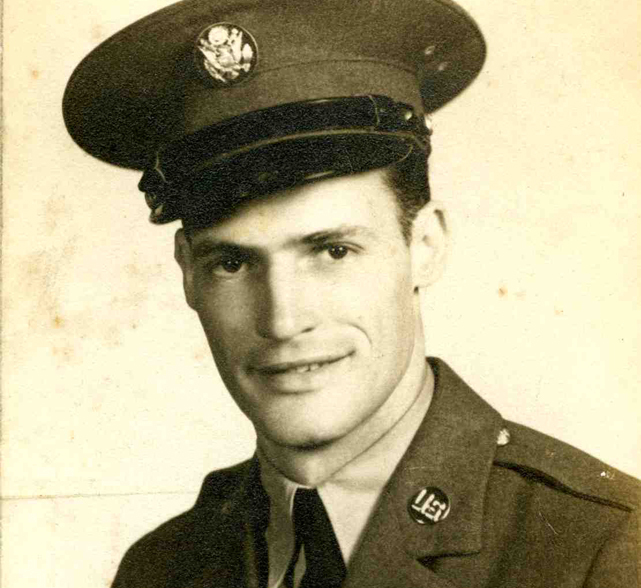 Lieutenant Carroll Sammetinger, from Lima, Ohio, served with the 46th Armored Infantry Battalion, 5th Armored Division. He was captured December 20, 1944, and was sent first to Stalag XIB and then to Oflag 79, where he stayed until being liberated on April 12, 1945. 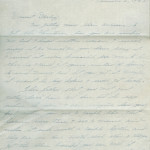 In Sammetinger’s journal, he wrote about his experiences, about foods he wants to remember (ice cream with Baby Ruth bars!) and recorded addresses of fellow POWs. Sammetinger’s collection—which includes his handwritten diary, numerous telegrams and letters, two hand-carved cigarette boxes, and German insignia gathered as souvenirs—is one of many treasured collections received by The National WWII Museum in 2016. Thank you to Sammetinger’s daughter, Sara Hammond, for sharing these pieces with the Museum and the world. They are powerful reminders of the separation, distance, and uncertainty experienced by many Americans during World War II. 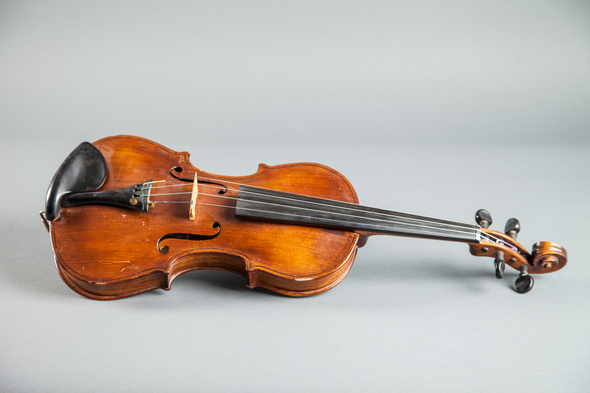 Post by Assistant Director for Curatorial Services Kimberly Guise. Merry Christmas and a Happy New Year from the December 1943 edition of the Higgins Industries publication, The Eureka News Bulletin. 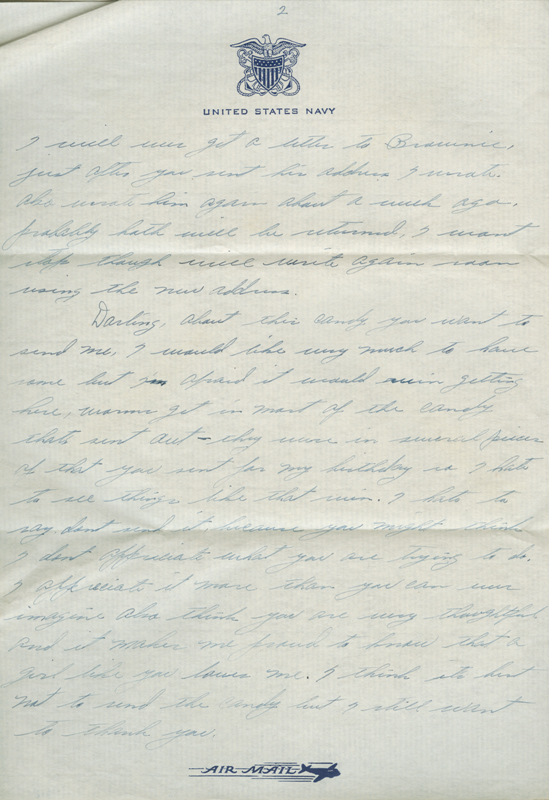 70 years ago today, John H. Thornton wrote from New Caledonia to his sweetheart, Miss Nell Fagan in East Point, Georgia. He gently provides some very useful information to Miss Fagan regarding the composition of his eagerly-awaited Christmas package. 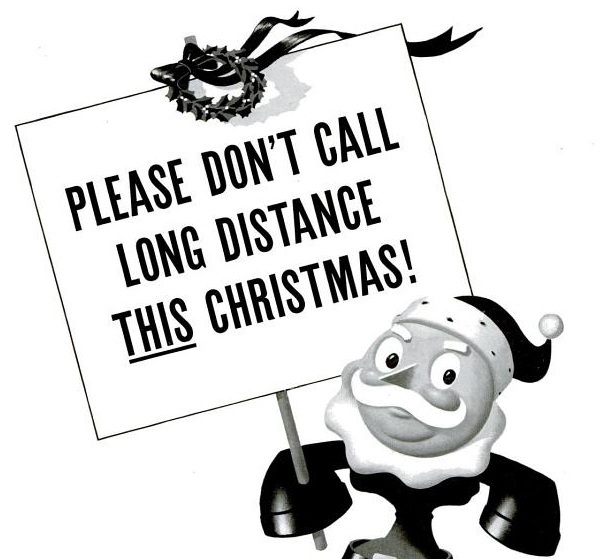 Servicemen being scattered across the globe during WWII and the need to send packages months in advance is sometimes cited as the origin of the early Christmas shopping season. 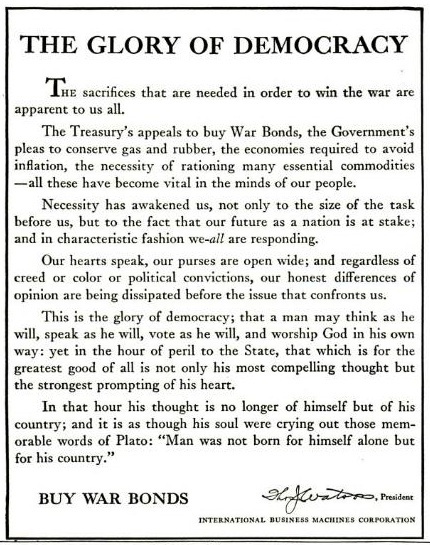 War bond references are plentiful. An ad for Toastmaster Toasters laments that the women of America will not be getting a Toastmaster in their stockings this year and “for the duration,” but offers tips on making your toaster last. 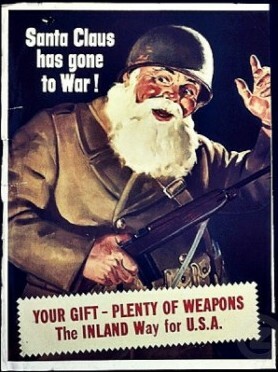 This ad and many others offer up the idea of giving war bonds this Christmas so loved ones can get what they want after the war is over. 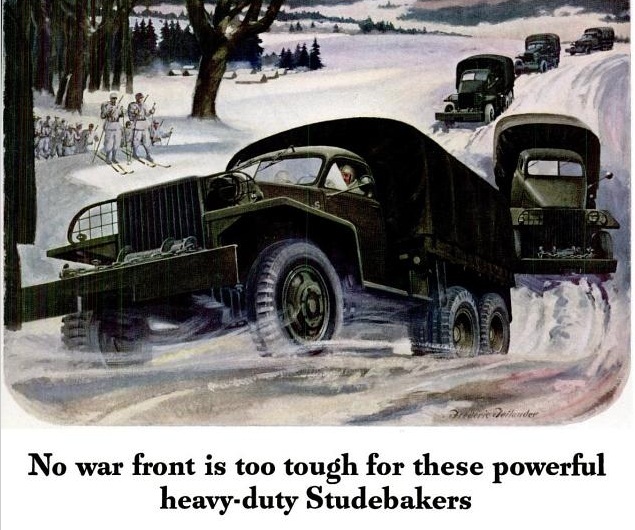 Other companies that did not have products to sell on the Home Front, touted their brand’s finer qualities on the battlefront. 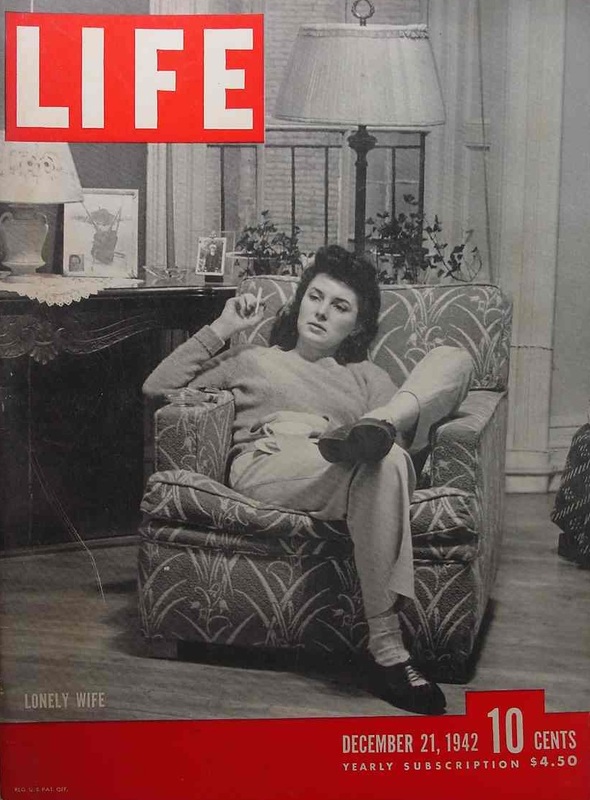 Read the entire December 20, 1941 issue of LIFE magazine. In the years 1939-1941, at the behest of President Franklin Roosevelt upon urging from retailers, Thanksgiving was celebrated a week earlier, on the third Thursday in November rather than the fourth. As a result, some referred to the earlier celebration not as Thanksgiving, but as Franksgiving. The week change was intended as an economic stimulus measure that would create a longer Christmas shopping season and increase retail in the time of the Great Depression. Some states refused the change and celebrated at the usual time, while a few states celebrated both dates. For the first Thanksgiving during WWII, in 1942, Roosevelt returned the holiday to its traditional week. 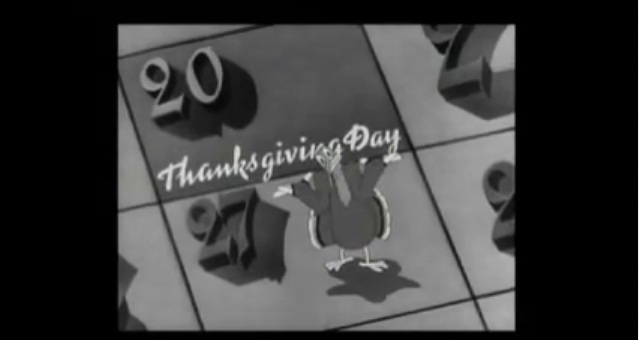 The hit 1942 film, Holiday Inn, remarked on the confusion surrounding the date of that year’s Thanksgiving—even the turkey is confused. Happy Thanksgiving! Click here to watch the Thanksgiving scene from Holiday Inn. Seventy years ago today marked the first week in an unprecedented seventy-seven day run at the top of the charts for the biggest-selling song of the 20th Century: Bing Crosby’s rendition of Irving Berlin’s ‘White Christmas.’ Originally released as part of the soundtrack to the 1942 film, Holiday Inn, ‘White Christmas’ initially proved unpopular with audiences; overshadowed by other songs such as ‘Be Careful, It’s My Heart’ which was a much bigger hit at the time of the film’s release. However, with the growing realization that the holiday season of 1942 would – for many – be the first spent separated from loved ones, recognition and demand for the song grew. Finally, on October 24, ‘White Christmas’ took over the #1 spot, dislodging Glenn Miller’s ‘Kalamazoo’ and holding off other challenges from the likes of Kay Kyser, Spike Jones, and Charlie Spivak. The ‘White Christmas’ season would not come to an end until well after the New Year and not before it had cemented its place forever in the popular American songbook. Thereafter, Berlin’s song and Crosby’s signature hit would see almost annual re-release during the holiday season, becoming the only song in history to enjoy three separate runs at the top of the U.S. charts (1942, 1945, 1946). 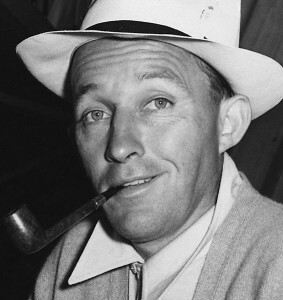 Encompassing re-releases, its inclusion on albums and Greatest Hits packages, Bing Crosby’s version of ‘White Christmas’ has – to date – sold in excess of 100 million copies. However, most audiences today are more familiar not with 1942 recording of the song, but with the 1947 re-recording made necessary after the song’s original master copy was nearly worn out through overuse. 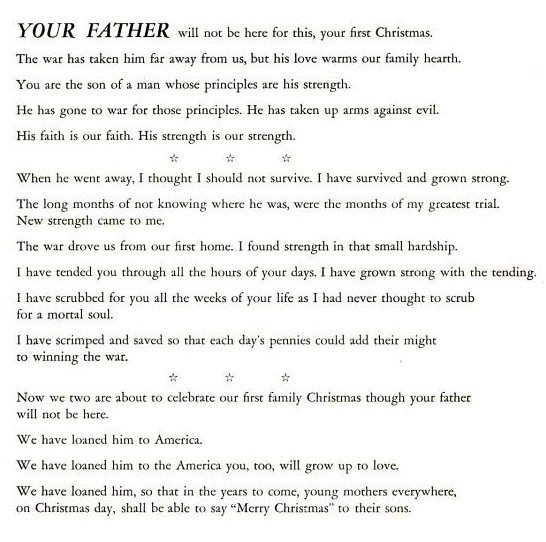 Curious about how World War II impacted the celebration of Christmas on the Home Front? So were we! In honor of tomorrow’s holiday, we’ve put together a list of fun yule-tide facts. During World War II Christmas trees were in short supply because of a lack of manpower (to cut the trees down) and a shortage of railroad space to ship the trees to market. Americans rushed to buy American-made Visca artificial trees. Posted by Gemma Birnbaum, Digital Education Coordinator at The National WWII Museum. 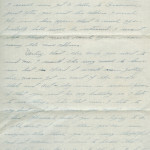 On December 7, 1941, Richard Tobin McCurdy was stationed at Camp Wheeler, Georgia and looking forward to holiday leave when he could visit his family back in New Orleans. 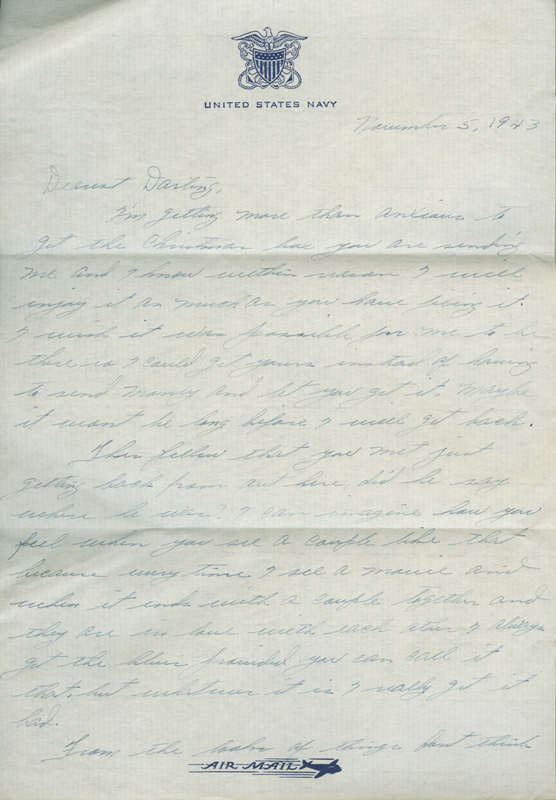 Below are excerpts from several letters home written between December 14 – 21, 1941. 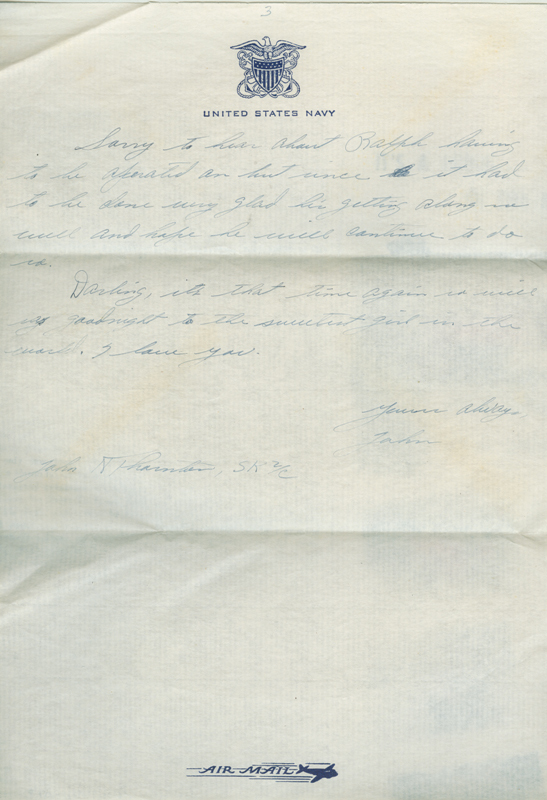 He describes the changes in the camp since the attack on Pearl Harbor and still holds out hope that he can come home for Christmas. 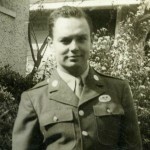 Richard Tobin McCurdy served in the 3rd Battalion, 6th Armored Division. 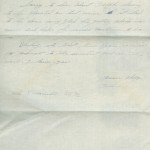 After training at Camp Wheeler, Georgia, he traveled to Ireland. On November 8, 1942, he participated in the invasion of North Africa (Operation Torch) where he was killed in action. Read more stories of sacrifice at www.mymemorialday.org.